Parking structures are becoming a necessary and expensive element to developments and campus designs in today’s market where the land is scarce. We are helping owners prioritize their decisions with projects today facing more and more questions and challenges which require an expert advice and direction. 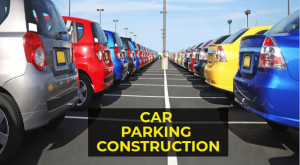 Creating a finished product which meets financial goals without sacrificing the entire project’s design intent can be challenging whether it is choosing between surface parking or parking structures when you decide on hiring the best car parking construction services. When the parking structures are expensive and typically the least attractive element on a project some owners consider parking a necessary evil. It is the least expensive option as the budget typically drives decisions. It eats up the valuable real estate and this is the major problem. Depending on the number of stalls, the foundation conditions, the number of levels below grade, the structure’s inefficiency, façade design, accessibility, connectivity to adjacent structures or campus and the current market conditions, a parking structure can cost anywhere from $12,000 per stall to $40,0000 per stall. Starting with the code requirements. It is typically calculated on a number of spaces per 1,000 square feet of interior occupied space basis as per the required number of stalls which varied for each municipality. It is not simple while going ahead with car parking construction in Sydney. To ensure functionality, efficiency and cost minimization which is achieved, various materials and aesthetics along with proper design must be considered. 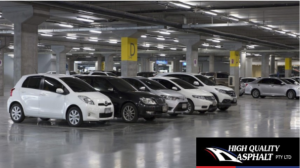 To provide the general guidance which is only based on our prior jobs and experienced for one-level ground or suspended slab car-parking only, this article is written. 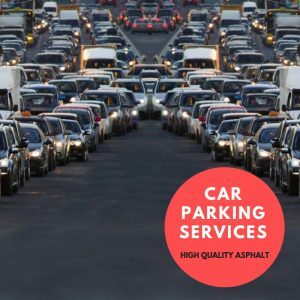 Prior to engaging in car park design and car parking construction service, we have brought together some valuable information for consideration. We have achieved numerous examples of great functionality, design, construction, and costing are there for clients. You do not want to go for necessary the lowest bid when it comes to getting a great job done on your project. Make sure that the company that handles your project guarantees their work. In a strict business to the business environment is all which needs to be taken care of. And whether they have their list of clients for whom they have worked? Always look out for the company who answer these things and this should be taken as for high priority. Ask plenty of questions and be prepared to do a bit of research. Make sure that your parking lot is constructed in a way which does not cause hindrance to others. As the mistakes done while constructing can prove to be highly expensive especially if you go in with a contract. As with modular car parks can render great spaces and new creativity is showcased through it. It is better to delegate efficiently instead of trying to be the construction company which handles everything. It is a sign that they are equipped to handle your needs if you find a company that does nothing but center markings and surface indicators. Rather than trying to restructure things in your present company to handle it, this is much better. You will be paying a lot more money to do so even though you might be able to pull off the markings yourself. Just turn this over to the experts you do not need to have all of the equipment purchased ahead of time as they will see through all. To actually come out to your location and see through the dimensions of the projects themselves it is better to be prepared for the marking team which you choose while going ahead with car park design layout. After they have seen what they are honestly going to be facing, they will be able to generate a proper quote. In the exterior construction, car parking is an area that should not be overlooked. 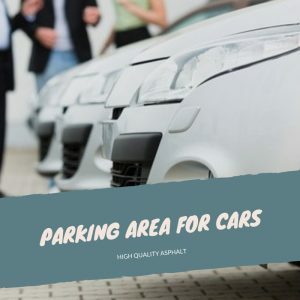 You may choose to go wither an outdoor parking area or with modern buildings as there is the option of having an underground car park where space is more of a factor, depending on the amount of land which is available. As the mistakes done while constructing can prove to be highly expensive especially if you go in with a contract with the car park design layout. It is better to delegate efficiently instead of trying to be the construction company which handles everything. It is a sign that they are equipped to handle your needs if you find a company that does nothing but center markings and surface indicators. Rather than trying to restructure things in your present company to handle it, this is much better. You will be paying a lot more money to do so even though you might be able to pull off the markings yourself. Just turn this over to the experts you do not need to have all of the equipment purchased ahead of time as they will see through all. So you need to take everything into consideration while availing the services. After a car parking construction is finished there are some last minute things that need to be done before you call off from it. It is essential that the cars know where it is legal to park, where it is not legal and where the handicapped zones are. Before people can use the finished building the proper way this is the basic information that has to be there. There is going to be a lot of traffic is what needs to be kept in mind with the average of the parking lots. It is going to mark all the difference in the world with the company that you use to handle the line markings. In the construction industry, especially for the car parking construction, technology from ideas and the types of machinery plays a fundamental role, as nowadays the construction agencies utilize a variety of modern ideas and method of designing and building establishments. In the computer and other construction software programs, better mobile communication access etc, the client can reap the benefits of the high-tech modern construction method from 3D modeling and initial designs.